One of our customers ordered these water bottles about three months ago. Ever since, I’ve wanted to feature them on WHW (What’s Hot Wednesday, OBVIOUSLY.) However, I wanted to show the shot of the finished product and had to wait until their event was over! These are the coolest, you guys. 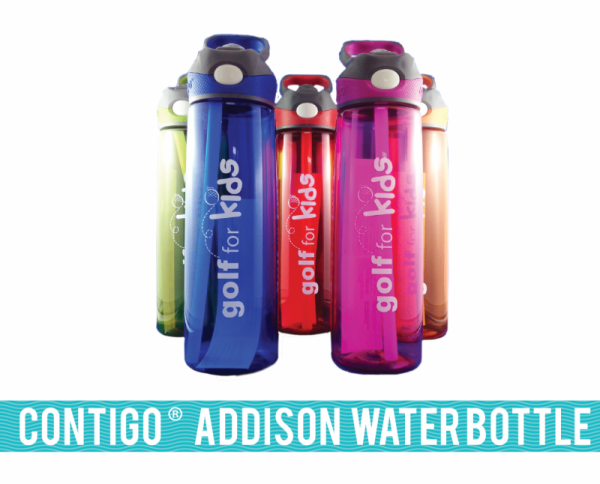 The Contigo® Addison Water Bottle is awesome for many different reasons, but I’d say the top reasons is because of the AUTOSPOUT™. It’s a one touch drink spout for quick and easy one-handed opening and drinking. Spout shield covers silicone spout, keeping it clean and protected when not in use. It also has a superior handle with soft, two finger grip is ergonomic for comfortable use on-the-go. Now let’s talk colours: LOOK AT THAT PINK! I want one. I will get my hands on one. *clears throat* Sorry… it’s just REALLY pretty. There are 7 different colours to choose from (if we can call clear a colour) Clear, Pink, Red, Orange, Lime, Blue and Charcoal. Honestly, these are some of raddest coloured bottles. They nailed every single one. 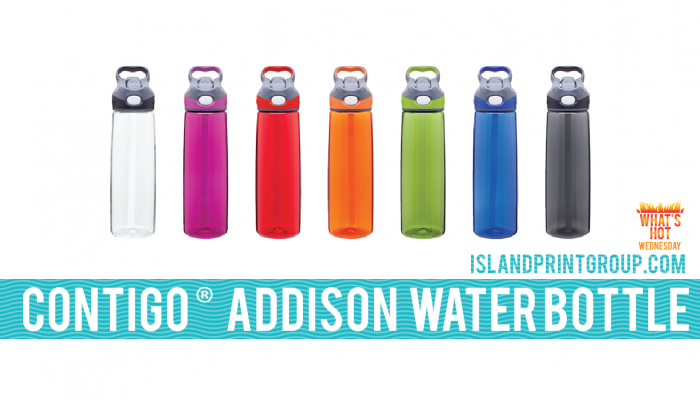 If you’ve never owned a Contigo® water bottle, you’re missing out. They are leak proof, durable and just overall well constructed. Take a look at this awesome video they put together about it! You should definitely get some of these logo’ed up. 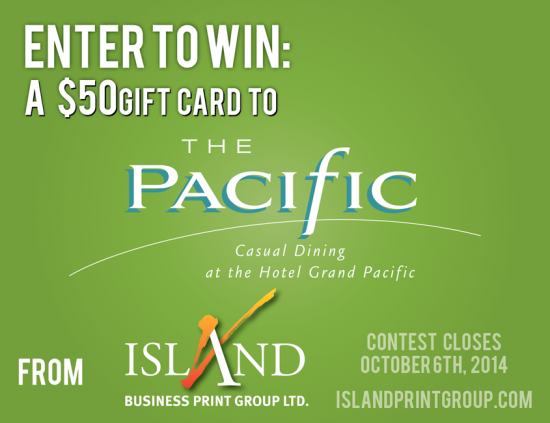 They give the right impression for sure.Don’t forget to enter our Facebook contest! It ends Monday October 6th! Click the picture below to enter!